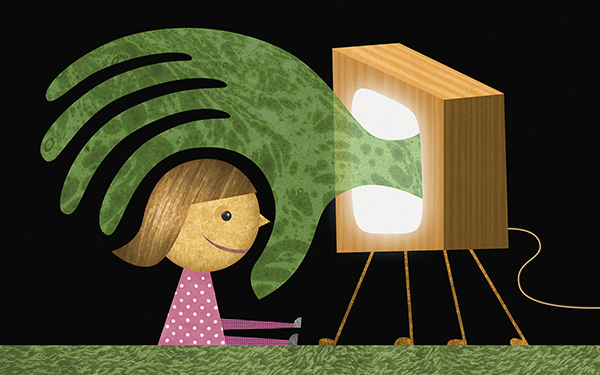 I recently illustrated a story about TV advertising and children. The top four categories that are marketed to kids? Fast foods, sugared cereals, sugary drinks, and candy. In other words: fat, sugar, sugar, and sugar. Oh, no! You can read the full article, by Dr. Perri Klass, here.